In photography there are hot lights and cold lights. Hot lights are always on, and in turn, get incredibly hot. Cold lights are also known as strobe equipment and are only on when the flash is triggered. Strobe lights are often sought out for portrait work because they’re more comfortable for the subject, and easier for the photographer to set up. 1) The first thing you should do is set up your subject in a light box that blocks off all ambient light you don’t want in the photograph. Think of those curtain stands that school portrait photographers use. Any unwanted light that is in the background or on either side of the subject can alter the results of your photo. So when setting up your light box, make sure it’s adequately blocking light from behind and beside the subject. 2) Once your light box is officially set up and your subject is in the right place, you should then set up the camera and compose the subject in your viewfinder. 3) Next up is strobe equipment set up. When positioning the equipment, you want to place lights in a manner that adds definition and produces shadows in the right places. To add that definition, you should choose a hard angle with the strobe facing toward the texture of the subject. Another popular technique is to light just one side of the subject. This creates a starkly contrasting shot, as one side of the subject is brightly lit and the other is shadowy and mysterious. 4) After your strobe equipment is positioned where you’d like it, you’re ready to attach your camera sync cord to the flash and execute the metering. Your camera should automatically adjust to the power output of the strobe equipment. If you’re placing the strobe light very close to the subject, you may want to slightly adjust the exposure accordingly, as it may wash out their features. 5) Next, you’re ready to shoot the photos. Make sure to check your result on your computer and make adjustments as you see fit. It’s generally a good idea to have the computer close at hand so you can review your shots immediately and then re-shoot right them without having to wait until after the shoot is over. All in all, strobes produce a decent amount of light, but unlike hot lights, they require a keen eye and good photo judgment to get the correct exposure. Strobes are known to create beautiful shadow patterns on your subjects, but you will have to take a series of shots to get the perfect one, since the strobe equipment fires quickly. Another noteworthy bit of information: you will probably need a camera with fast shutter speeds, as strobe equipment fires light as quickly as 1/1500 of a second. If you’re planning to buy strobe equipment, you should find some that is compatible with several types of professional cameras. If you’re interested in experimenting with strobe equipment before you buy it, you can always look into photo equipment rental. http://www.csirentals.com is a photo equipment rental New York service providing a range of professional photography equipment, including DSLR HD camera lenses and strobe equipment. Now that is a wonderful article! I’ve been reading a lot about photography tips earlier and I stumbled on this article. And I must say that it is indeed a very helpful and useful post for those who are still new in photography. Thanks for the tips! 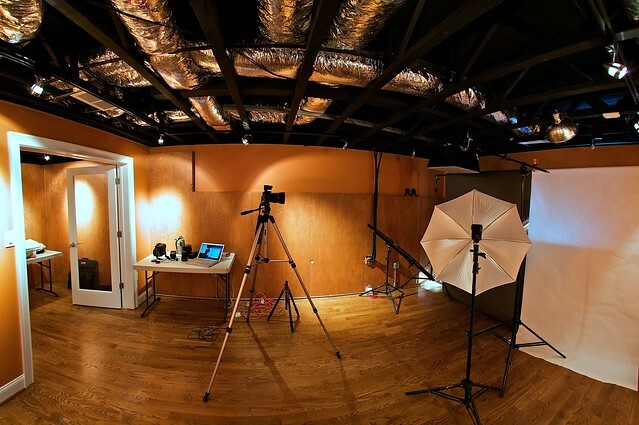 I hope I can setup a home made studio like that. There are some great articles on this website but unfortunately this is not one of them. It contains confusing instructions leading to an out of sequence workflow and at worst, misinformation about camera shutter speed requirements allied to flash duration: totally irrelevant in this scenario. Actually if you shoot with flash the shutterspeed is not important. If you just use the studio lights and there is no ambient light shutterspeed can be 1/125 or something even if the strobe is 1/1500 sec. Only imporant thing is ISO and Aperture, not shutterspeed. If you have ambient light as well then it becomes a different story. I don’t know which is worse, the information in this article, or some of the comments. This article was clearly NOT written by someone that knows anything about studio flash photography.